Today sees the launch of another Zooniverse project – and it’s something a little bit different. Old Weather asks you to journey back to the early years of the twentieth century, and comb through Royal Naval logbooks in search of climate data. It’s surprising, but one of the major problems in testing models that predict the Earth’s climate is in obtaining decent historical data. Dedicated officers on board ship took readings every four hours, but in order for this information to be of use to climate scientists we need to turn it into a form computers can read – and that’s where you come in. The reward for doing this is following along with the voyages of the ships. 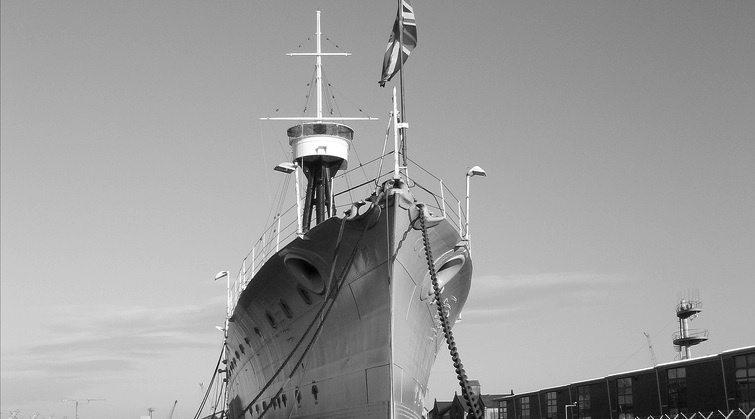 Most of our first set of logs comes from the First World War, but the stories include those of a range of historically-important ships including Battle of Jutland-survivor HMS Caroline, which is still in existence in Belfast (see above image), HMS Defence and HMS Invincible, which were both blown up at Jutland with the loss of most of their crews. We also have the records of less well-known ships including HMS Dwarf, which on service in the Cameroons in 1914 suffered a boat attack similar to the one mounted by Humphrey Bogart’s character in the movie The African Queen, and river gunboats such as HMS Gnat, HMS Mantis and HMS Moth which patrolled the Rivers Tigris and Euphrates in a military expedition to Iraq. Whichever ship you choose to join, we hope you’ll enjoy taking a trip with Old Weather. What’s the weather like when you are?